Working with the newly formed Friends of Front Street Green and the Queen Village Neighbors Association, TEND developed a schematic plan for the east side of Front Street from Washington Avenue to Christian Street. 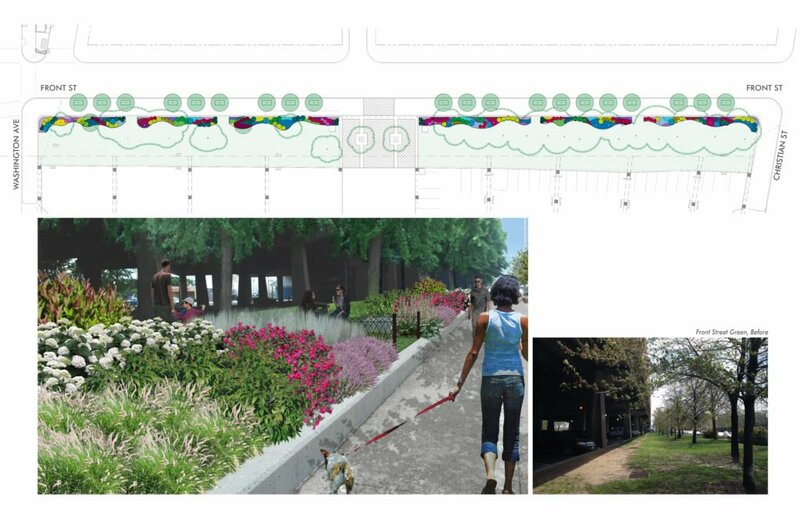 The Friends group wanted a more park-like feel and a buffer to adjacent parking under I-95. An important facet of this plan was TEND’s built in phasing structure to provide for implementation as the Friends group garners project funding and community engagement. The first phase addresses key improvements to existing features, such as pruning of trees and turf revitalization. 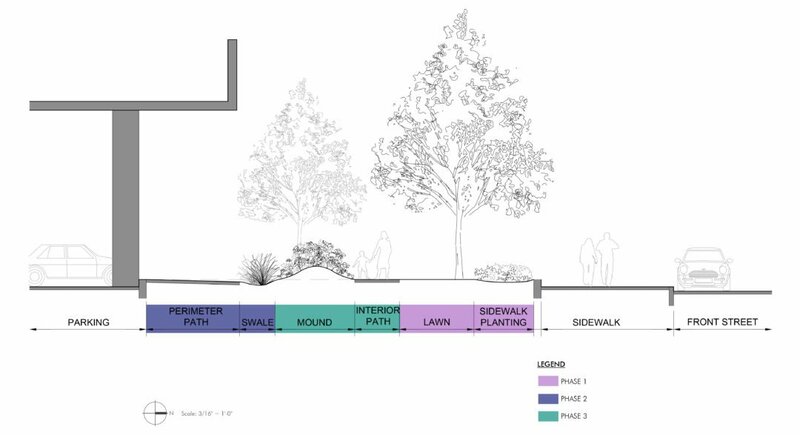 The major new component included in the first phase is the establishment of planting beds along the site western edge, at the Front Street sidewalk. Following, the second phase of the project will focus on the site eastern edge, adjacent to the parking lot, and includes earthwork to improve on-site stormwater management as well as new paved areas. The final phase will add additional amenities, such as walking paths and benches.